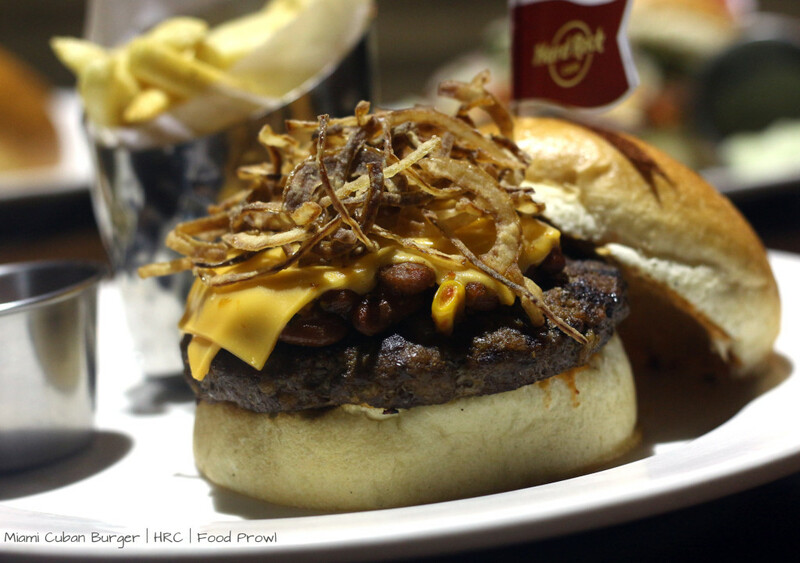 Hard Rock Café needs no introduction for the legendary burgers they curate; they have plenty of patrons who rely on them for excellent burger options. The delight for burger lovers increases manifold when the yearly World Burger Tour is held. The local flavors from around the globe are brought into a burger and the results this year are simply drool worthy. The burger lineup will surely satiate your burger cravings in a unique flavor packed way. 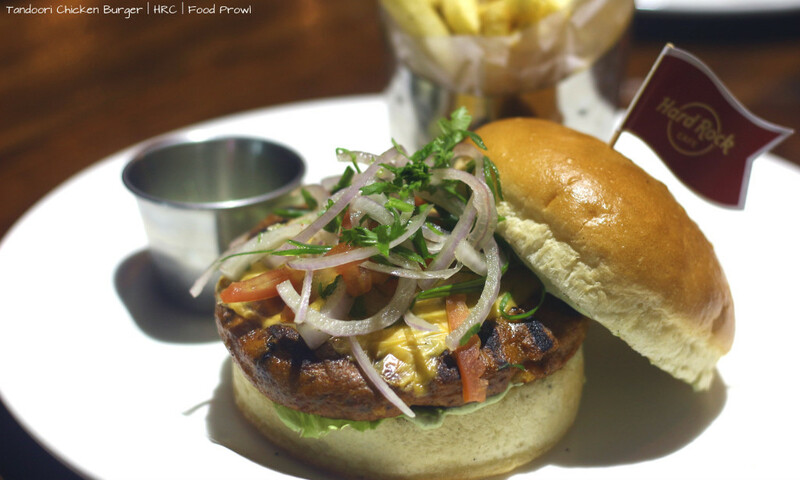 The 8 – 4 each veg and non veg; burgers on the tour menu have been selected out of 160 local recipes made at outlets across the globe, so they have brought the very best ones for everyone to enjoy. The highlight of burgers is that all but one have grilled patty so not fried gives some remorse for the calorie conscious. There is also a competition that you can participate in – Burgerthon. Eat a burger of your choice on the house as fast as you can, current time to beat in Pune is 47 seconds and nationally its 31 seconds. People do eat fast I believe looking at those timings; I could barely do it in 2 mins. There are shots and some goodies to be won. All the burgers are done very intricately they have layers of fillings; patties have cheese and other ingredient centers. Another good thing was every burger was served with extra dip used as the base sauce in the burger to enjoy as required. Miami Cuban Burger – A very juicy meat patty infused with Southern American spices, loaded with cheddar cheese, tomato slice, and very crispy n spiced onions with chipotle sauce. I could eat more than few of these hands down, this is a must have for all meat lovers. 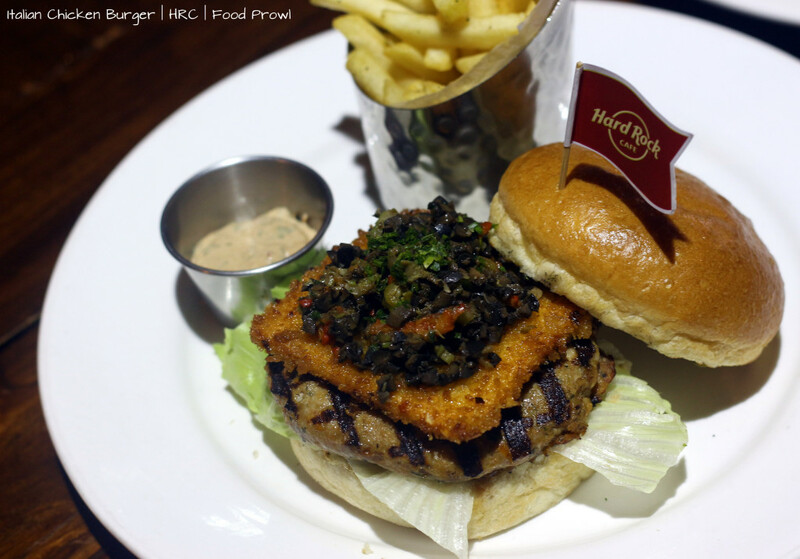 Italian Chicken Burger – This one was subtle on flavors had herbs infused patty, Italian relish, cheese & spicy tangy sundried tomato aioli. Highlight of this one was golden panco fried Cheddar slice; it added to the complexity of this one, the final layer was of black and green olives with fresh herbs. Mexican Quesadilla Veg Burger – This was a spicy one, Polenta burger patty loaded with sweet corn, beans & vegetables flavored with tangy enchilada salsa, Swiss cheese, avocado & nacho straws, a fully loaded burger. 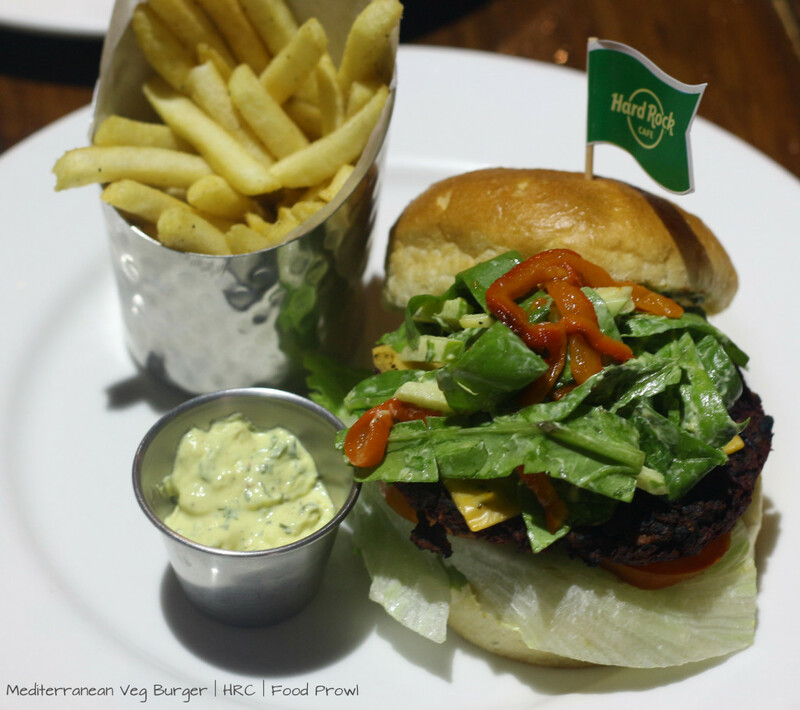 Mediterranean Veg Burger – This one had a beetroot patty with Mediterranean vegetables & spices topped with spicy mango aioli, cheddar cheese & fresh spinach slaw. A nice sweet sour flavored option, if you are looking for a surprise pick this one and it should impress you. 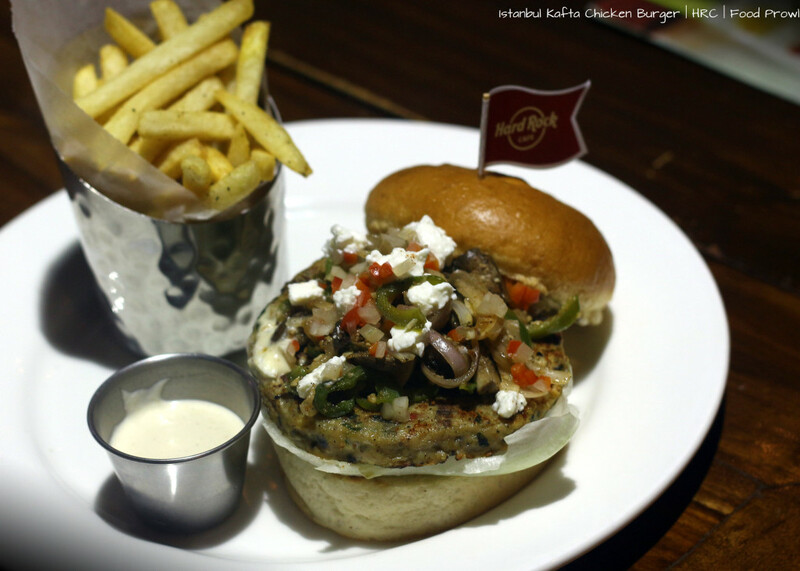 Istanbul Kafta Chicken Burger – A nice medium spiced and a Middle Eastern delight Shawrama inspired chicken patty with garlic hummus aioli, kafta spiced onions a layer of mushrooms and peppers adding to the texture and flavors and generous creamy feta on top of everything. 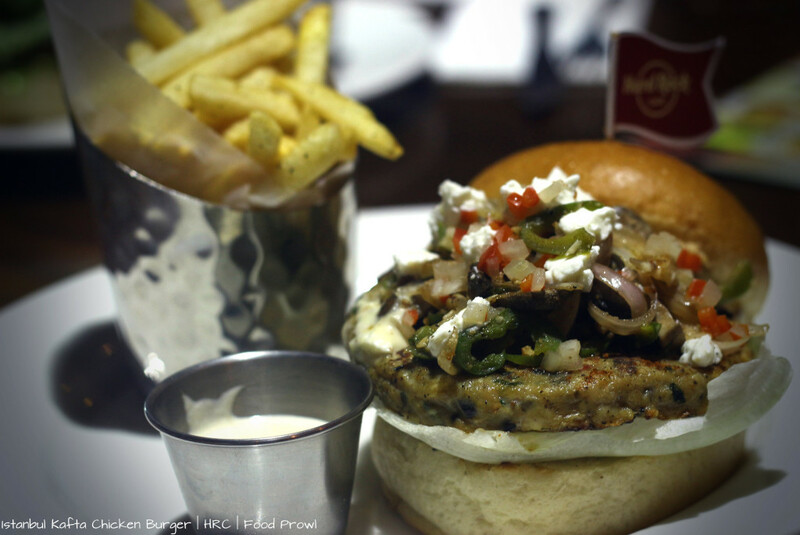 Falafel Veg Burger – If you like falafels, this is a very nice adaptation infused with Lebanese spices, lettuce, tomato, garlic aioli, hummus sauce, veg pickle& Cheddar cheese. This is the only fried one, as obviously who has ever heard of a grilled falafel! 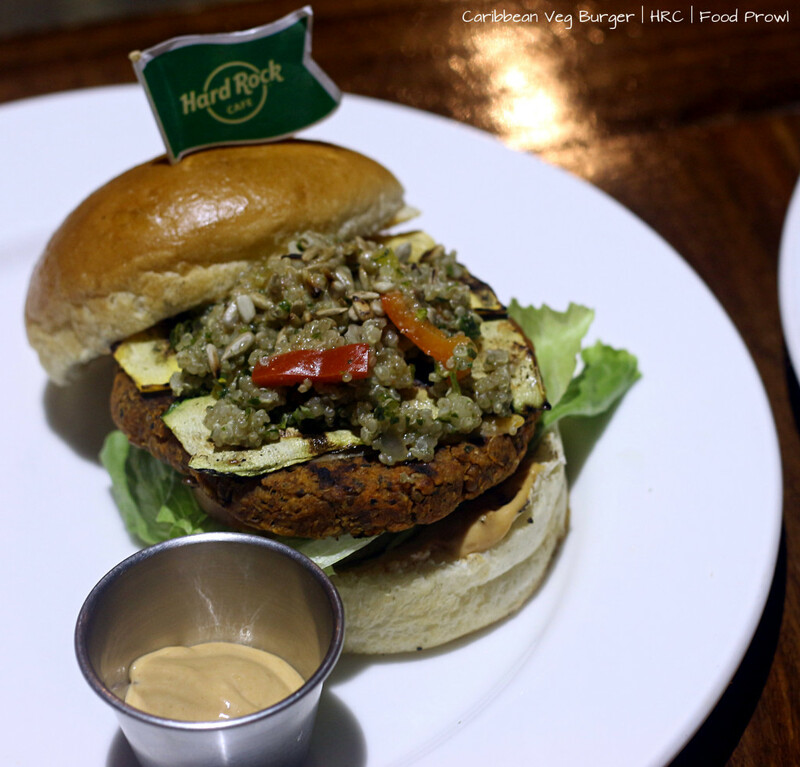 Caribbean Veg Burger – A burger with most talked about ingredients these days, Smooth & spicy fusion of vegetables & brown lentil Caribbean spiced grilled burger, topped with Cheddar cheese, quinoa relish & sunflower seeds. 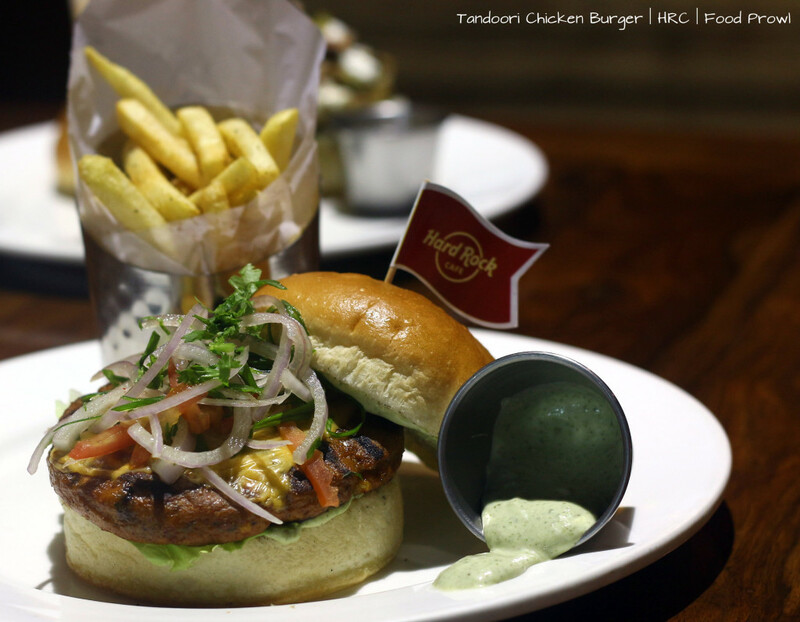 Indian Tandoori Chicken Burger – Our local take on a burger succulent & tandoori spiced chicken patty, with common Indian toppings of lettuce, tomato, topped with melted cheese, cucumber plank & mint mayo sauce. 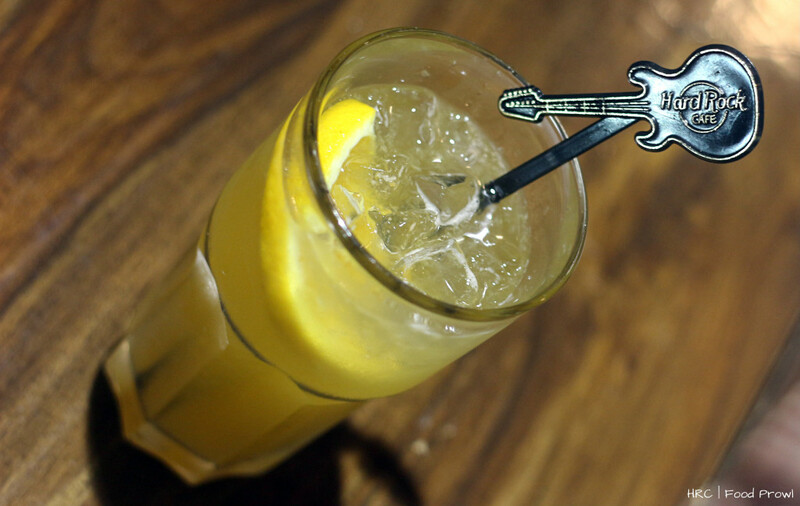 HRC has also created cocktails that perfectly complement World Burger Tour offerings. 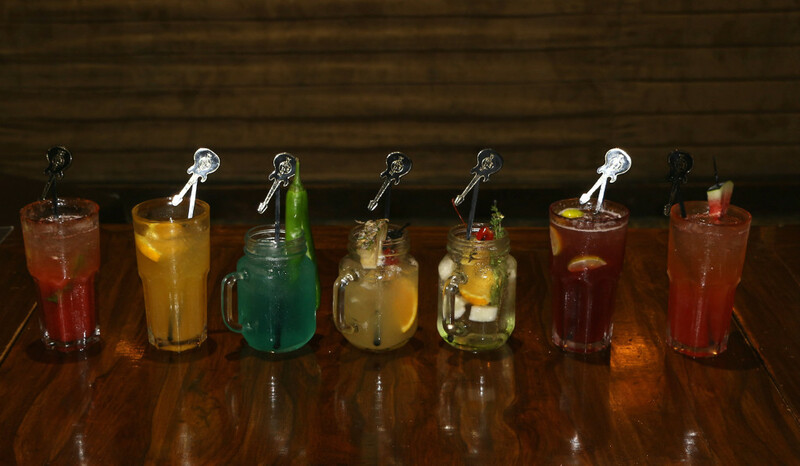 Served in mason jars and tall glasses, all of them have more than one alcohol component, the ones I liked most were, Hangmans Blood had Dark rum, whiskey, brandy, gin, red wine, sweet & sour mix topped with beer. 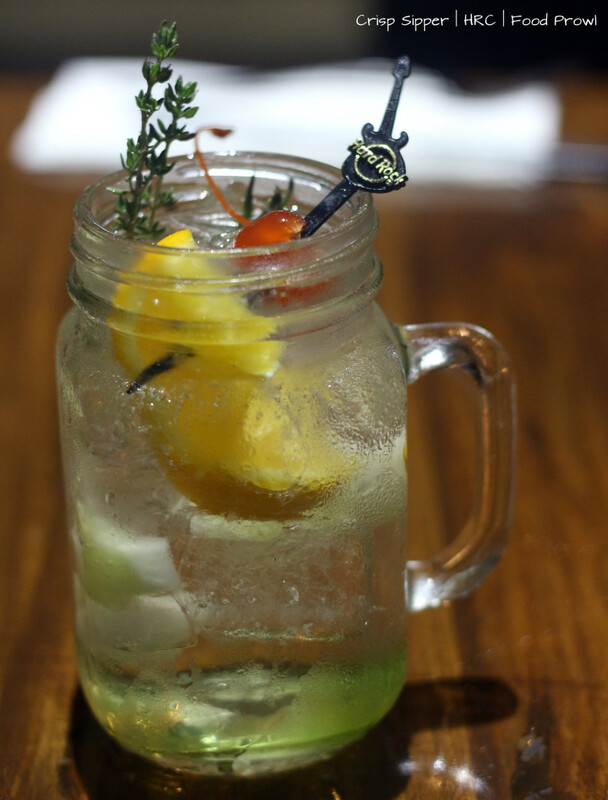 With so much drinks mixed together how can it go any wrong, a strong potion drink like I like it. 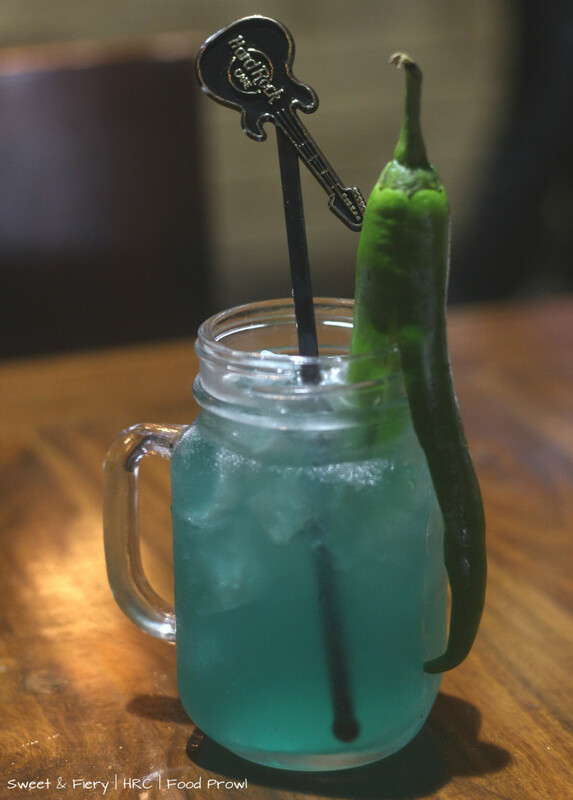 Next a sweet and spicy mix was – Sweet & Fiery a drink with Pepper Vodka, Ginger syrup, Blue Curacao, lemonade, ginger syrup & beer topped with a pepper, a very nice concoction. 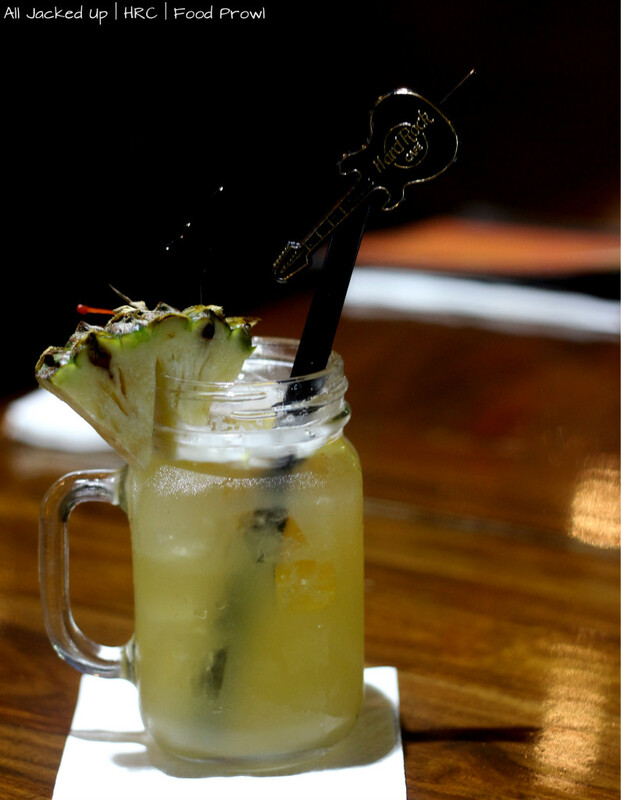 Another one I found to be very different was All Jacked Up, it was killer combo of Jim Beam Whiskey, Captain Morgan’s spiced rum & honey mixed with pineapple juice and lime juice enough for the nice kick. Then there are the fruity ones as well for those who prefer those flavors. 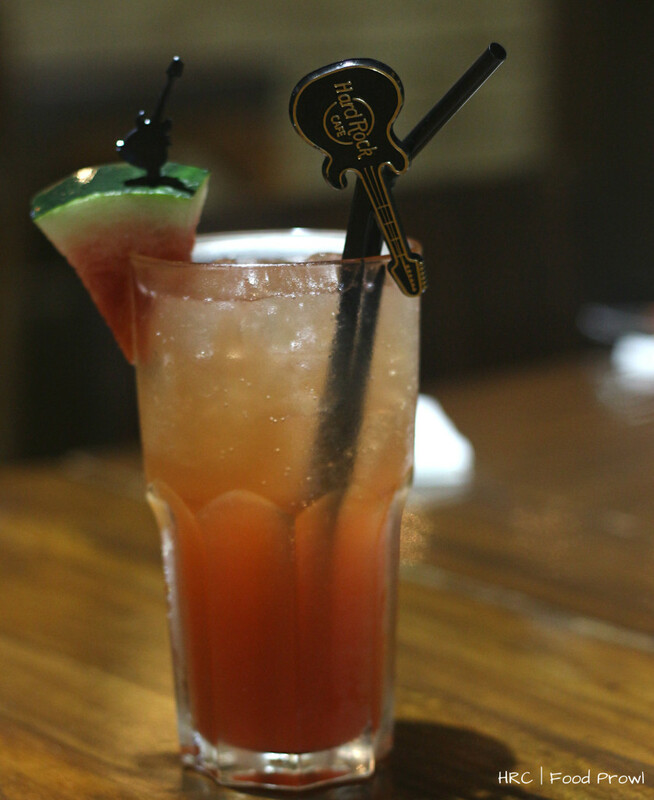 El Matador with strawberry and basil in rum and beer & fresh lime juice, Watermelon Hoedown with the fruit vodka and beer, CRISP SIPPER a cucumber, cherry Melonpalooza – Bacardi rum, coconut rum, Midori Melon Liqueur, pineapple juice and sweet & Sour.